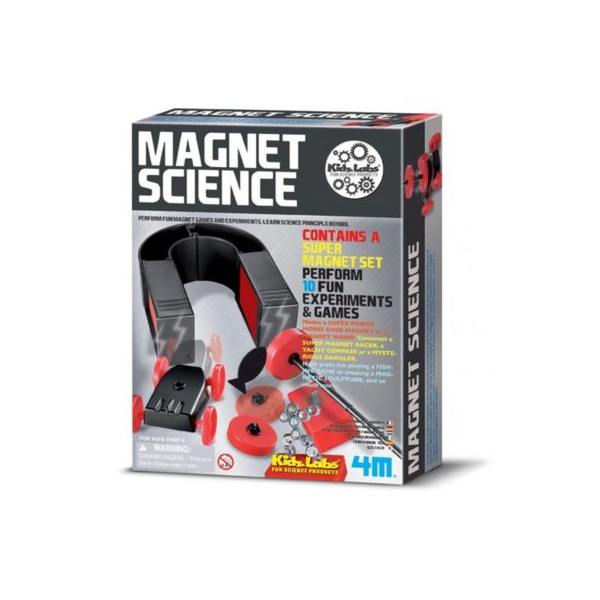 Educational science kit to teach children about magnets with the use of 10 different experiments and games that let you demonstrate and teach the principles of magnetism in an entertaining way. Makes a super power horse shoe magnet or a magnet wand. Construct a super magnet racer, a yacht compass or a mysterious dangler. Have great fun playing a fishing game of creating a magnetic sculpture, and so much more, while learning the magnet science behind it.